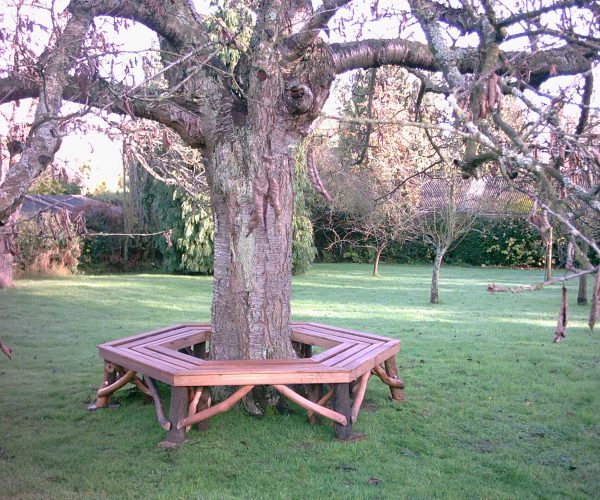 Your choice of either a six or eight sided tree seat provides an all round vista of your garden, giving you the opportunity to view it from a different angle each day. Made approximately 45cm/18″ from ground level, this product requires you to measure the diameter of the tree at this height. Note: This seat is made in two halves to be fitted around the tree, however, larger trees may require an octagonal seat.